Different cats display different types of behaviors. Some cats are very cuddly and affectionate. Some vary their behavior and can move between affection and ignoring. And other cats may just seem downright mean. They may avoid affection and being held. Mean cats can frequently hiss, scratch, or bite. There may be a reason your cat is acting out. Learn why and what you can do about it. Depending on your cat, these techniques could be a quick fix or require a lot of time and energy for slow results. Living with a mean cat can be a stressful situation. The stress can be felt by you, your human family members, and the cat. The H.I.S.S. 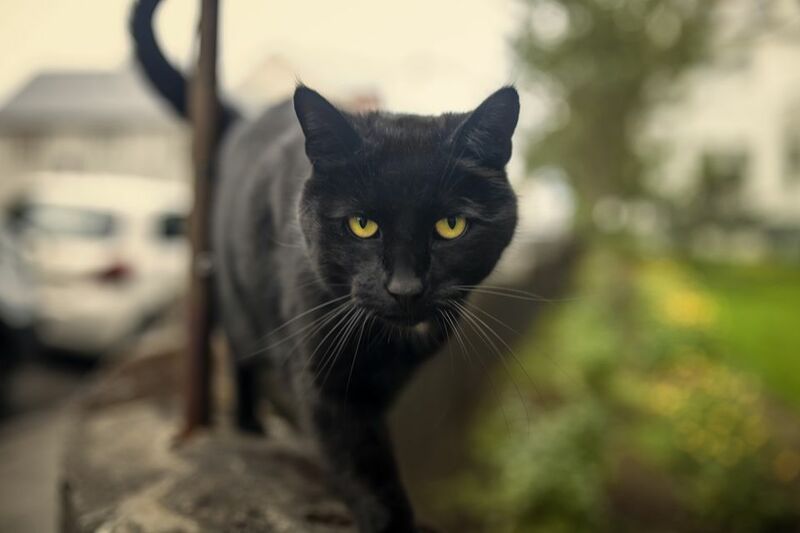 Test, which stands for health, instinct, stress, and symptom solvers, can be helpful to understand what’s going on with your cat and is a helpful first step in examining a mean cat. Cats can become withdrawn when they don’t feel well. If you notice a change in behavior but cannot figure out why it may be stemming from an underlying health issue. A health check is always a good idea when a cat’s behavior changes suddenly. Schedule an appointment with your veterinarian and bring notes about specific changes, behaviors, or anything else that could be helpful to explain what is going on with your feline. Cats are creatures of habit. They also learn what is safe and what is scary very early in life. Anything “new” such as a strange house or people, can put their tails in a twist when they feel uneasy or even frightened. If there have been changes in the cat's life, think about how these may impact behaviors and how you can help your cat handle the changes. The stress of living in a new place, with strangers and an altered schedule, often can cause upset kitty feelings and a change in behavior. Cats that have a close bond with their human owners also can be sensitive to your feelings of stress and act accordingly. Examine stress levels in your household to see if this is having an impact. If you have what you think is a mean can, there is a chance you may be interpreting the cat's behaviors in an inaccurate manner. Cats show love and affection in ways that humans don’t always understand. In a similar way, humans show love and affection in very distinct ways that cats don’t understand! Humans are primates. We hug, we touch and cuddle, we want to be near each other. But to a cat, a hug feels like being smothered! A hug is a confining and scary sensation to cats. Especially when a kitty already feels under stress, it will want to control the interaction. For example, a hiss actually is a warning and sign of fearfulness; a hissing cat wants you to keep your distance. If you think you have determined the cause of your cat's meanness, the next step is to make some behavioral changes. If it's a health issue, hopefully, your vet has provided some insight and the behavioral problems are no longer present. If the meanness is due to an instinctual issue, you may have to focus on behavioral changes and retraining your cat. If the meanness is due to stress, try to keep your cat's environment as stress-free as possible: Set up a safe room or safe area where your cat can retreat. Finally, if it's a communication issue your cat needs to learn to understand what you are communicating and you need to learn some basic cat communication. A common error is that cat owners expect behavior to change overnight. Unless you have resolved a health issue, this is likely not the case. Give your cat time to change and focus on the positives. Getting angry with your cat for being mean will not help, and likely only add to the bad behavior. Keep trying, seek professional help, and have patience with your pet cat (and yourself). A feline behavioral specialist will be able to help with a seriously mean cat. They will likely meet the cat in its home environment, see its behavior, and then come up with recommendations to help your cat (and you) alter the behavior.